BlackBerry is nothing short of a legend in the mobile realm. The brand easily matches the popularity of other titans, such as Motorola or Nokia and is still synonymous with quality and enhanced security. The latter has been the staple of the Canadian company's existence, mostly as a trusted enterprise communication solutions provider over the last few years. 2016 marked a sea change in BlackBerry's way of bringing mobile phones to the end users. And the BlackBerry Mercury is the first device to signal the direction this change would be taking us. BlackBerry went through some hard times in recent years. Their two most recent models in 2016 - the DTEK50 and the DTEK60 - were manufactured by the Chinese OEM TCL. At first, this move looked like BlackBerry was outsourcing the hardware manufacturing to a third-party, which was rather controversial. The controversy surrounding the two models continued as we discovered that both phones were merely re-badged versions of existing Alcatel models. Of course, both also came loaded with BlackBerry's trademark security and communication suite on the software end, but that didn't change things much. We felt somewhat cheated as consumers, and we began wondering what was going on. 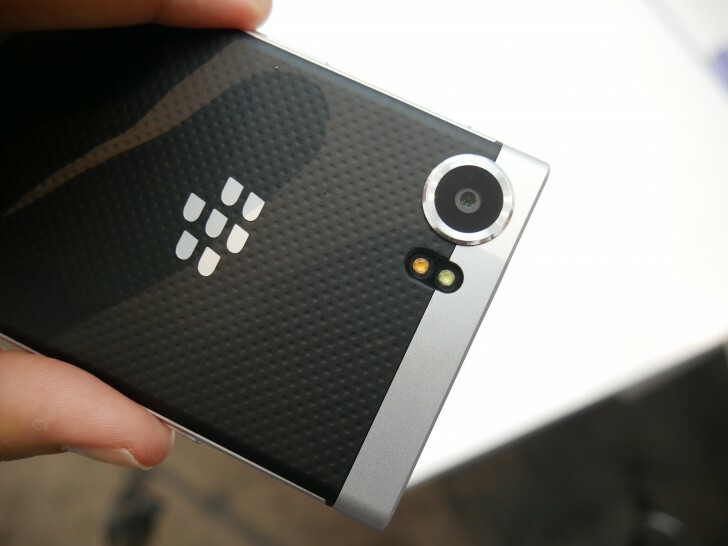 Then it all became clear when an announcement in December 2016 stated BlacBerry would no longer manufacture hardware, choosing to focus on software and services instead. The rights to the mobile phone brand BlackBerry was being handed over to TCT, a fully owned US subsidiary of the Chinese TCL - the same guys that own and manufacture the Alcatel phones. It became clear that TCT/TCL will stand behind BlackBerry phones in the future and the BlackBerry Mercury is their first original product to come out as an embodiment of what the BlackBerry experience will stand for in the future. The company was hesitant to reveal any hardware specifications at this point, which is quite unusual having in mind they already had a pre-production device on display at CES 2017. Nevertheless, we were glad to learn that TCT/TCL's plans for the BlackBerry devices go way beyond a simple rebranding scheme and they were really eager to make this abundantly clear at CES 2017. So, is now the time to get our hopes up and just how far has the new partnership come? We thoroughly enjoyed every second of our hands-on time with the BlackBerry Mercury and can't wait to share our impressions on the next page.